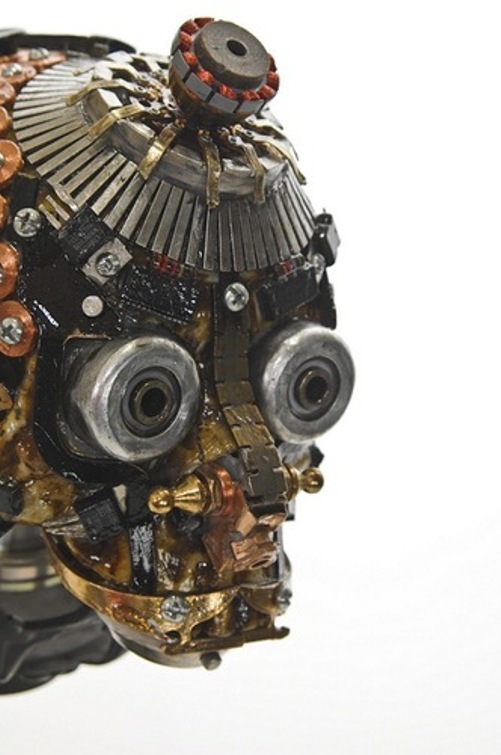 American junk artist Gabriel Dishaw creates amazing steam punk sculptures. 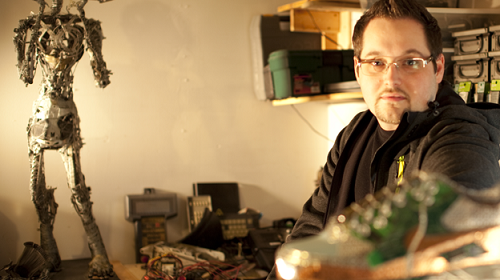 He takes parts from old machines, typewriters, computers to build awesome mechanical creatures. 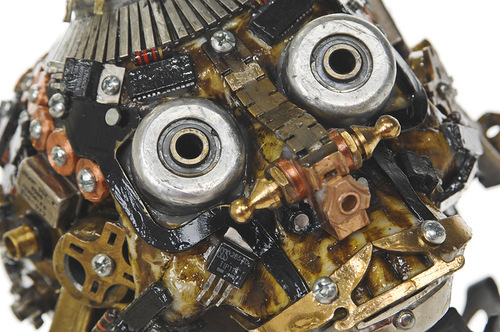 By creating curious sculptures from useless objects, the artist gives new life and purpose to old scraps. 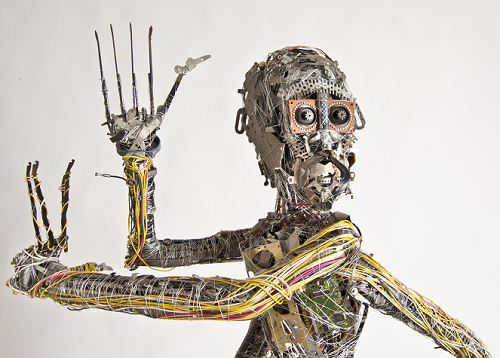 As the artist states “The metal has the ability to resonate the very fantasies and thought processes that I envision”. 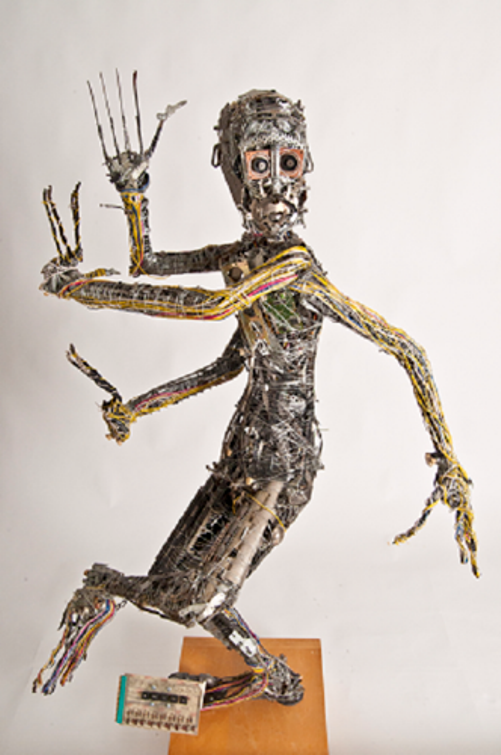 Shiva- Was inspired by a trip to a local mall where a small sculpture of Shiva, a Hindu god at a kiosk. 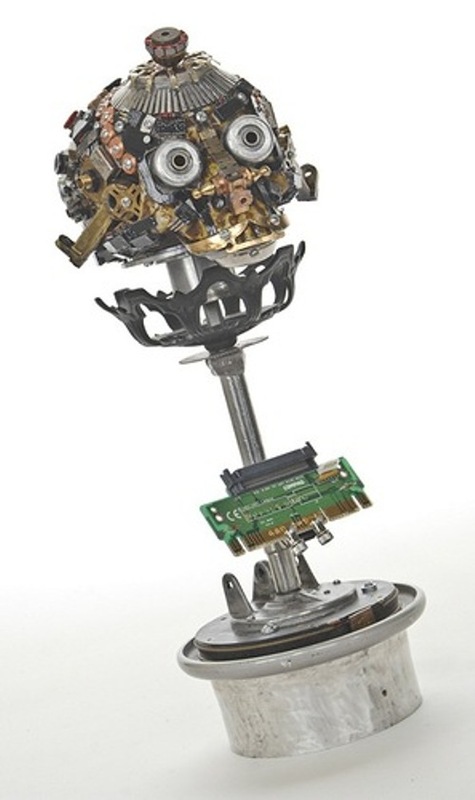 This sculpture was created using parts from typewriters, adding machines, metal wire, electrical wire, and computer parts. 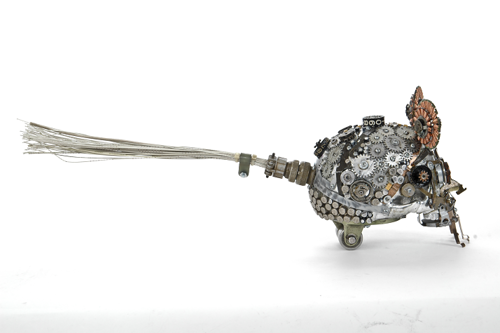 Mickey Skull – a fun new sculpture of the skull series. 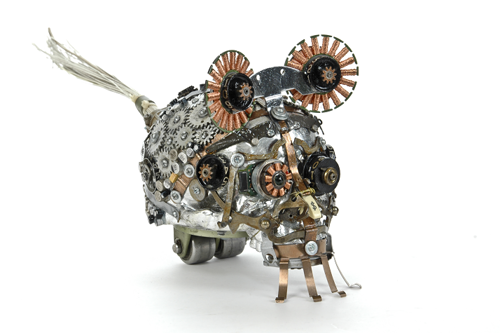 This piece is a dark twist on what Mickey’s Skull could be. 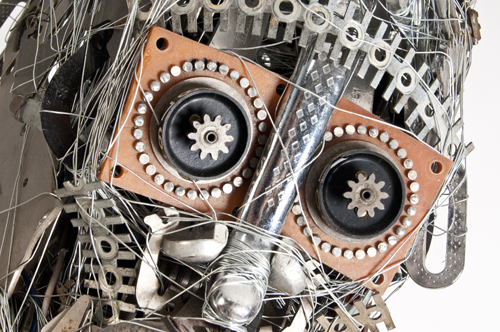 It is forged of old computer part, adding machines typewriters and rolls on wheels from a airplane cargo ramp. 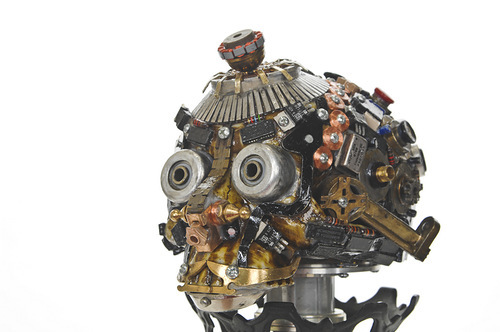 Monkey King Skull – From artist’s love of Asian culture and folklore. Materials Used: wrist watch band, computer chips, cargo plane wheels, clock parts, money counter gears, plane wheel hub, typewriter keys.